Guide to Homer Alaska activities and functions including the most popular things to see and do in Homer AK. Camping, fishing, beachcombing and more. Homer is a popular destination for residents and visitors to the Kenai Peninsula. 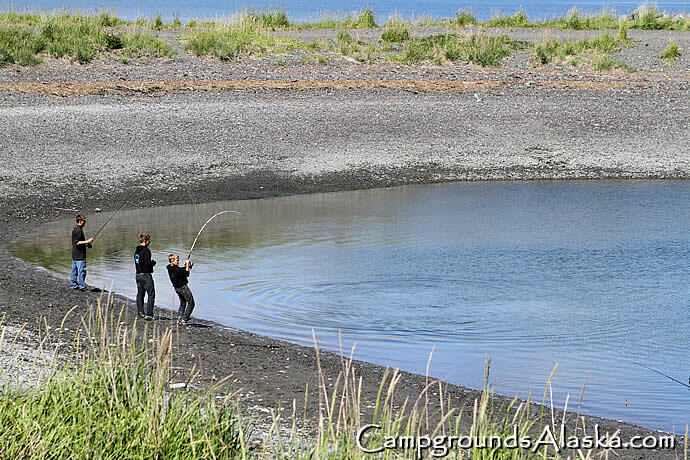 Beachfront campsites in Homer AK. The City of Homer is located at the end of the Sterling Highway on the southern end of the Kenai Peninsula. Homer Fishing Lagoon: The Homer fishing lagoon, better known as "The Homer Fishing Hole" is located on the Homer Spit, a 4½ mile long piece of land protruding out into Kachemak Bay. 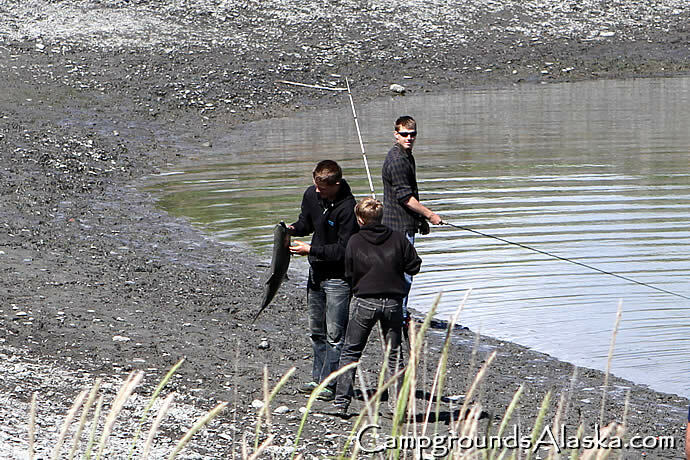 The Homer Spit Fishing Lagoon is a man made lagoon, "fishing hole", with campground on the west and an RV park on the east side. Additional campgrounds are close by to accommodate the popularity of this unique destination. The Homer Spit offers a number of small shops along a boardwalk that also includes some restaurants offering Alaskan seafood and such. The Salty Dawg Saloon, which is constructed out of several historic buildings from Homer is the icon of the local attractions. 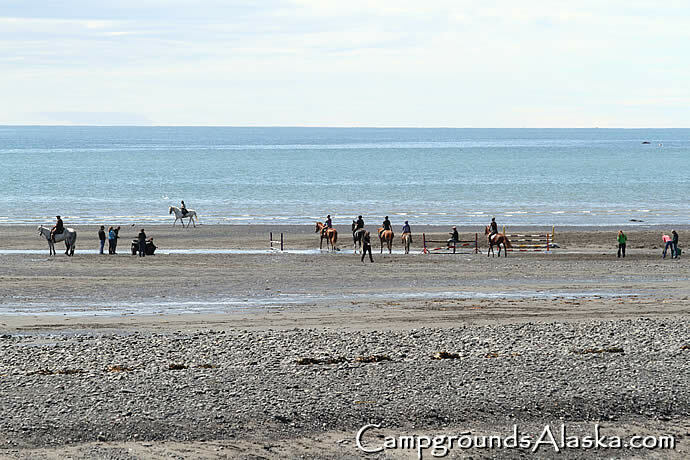 It's very popular to see people enjoying horseback rides on the beaches of Homer. Flying Kites on the beach in Homer AK has been a popular activity for the entire 35 years we have lived here in Alaska. Walk on the beach and you are never totally alone. Homer is an active community and the beaches see a lot of activity all through the year. I often wonder if this is why Homer is such a fit community that has always remeined close to each other as well as to nature.